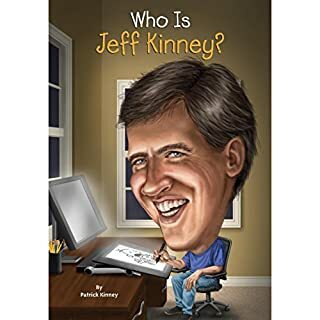 Even when he was a kid, everyone thought Jeff Kinney was talented. People loved his drawings, and when he went to college his comic strip, Igdoof, was so popular that it spread to other universities! Still, Jeff faced challenges. His cartoons were rejected by syndicates that claimed his art was unprofessional. Then an idea struck: Jeff would write a journal from the perspective of a child, illustrated with doodles just like a kid might do. And so the Diary of a Wimpy Kid series was born - and it was a hit! "We are a family on a journey to a place called wonderful" is the motto of Deza Malone's family. Deza is the smartest girl in her class in Gary, Indiana, singled out by teachers for a special path in life. But the Great Depression hit Gary hard, and there are no jobs for black men. 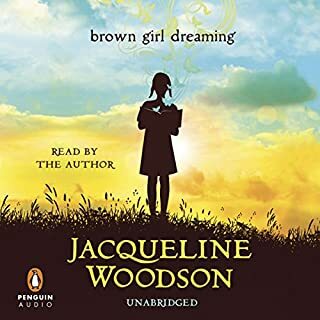 When her beloved father leaves to find work, Deza, Mother, and her older brother Jimmie go in search of him, and end up in a Hooverville outside Flint, Michigan. 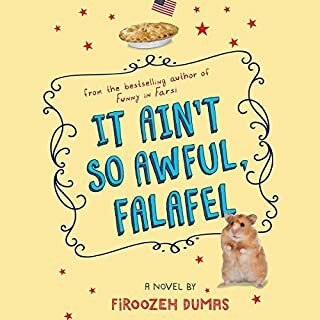 Jimmie's beautiful voice inspires him to leave the camp to be a performer, while Deza and Mother find a new home, and cling to the hope that they will find Father. The twists and turns of their story reveal the devastation of the Depression and prove that Deza truly is the Mighty Miss Malone. From the Hardcover edition. I really loved the character of Peg, the mother and the main character, Desa Malone. They were very happy and positive people despite what was happening to them. What I really loved about this story is that it's about a time in history that is not often studied now and has so many relationships to what is happening in today's society. I also listened to bud not buddy and loved that - Christopher Curtis is a great storyteller. I'm in my 40s and found this a wonderful listen when I was cooking, running, or just in the car. 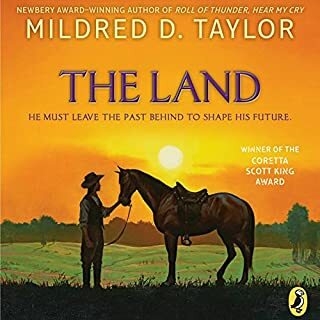 This was a very moving piece of historical fiction, set in the time of the Great Depression. It focuses on a bright young woman entering her teens, and the struggle of her loving family to hold itself together, despite poverty, racism, and health problems they could not afford to address. I'd recommend it for both young and old audiences. great story ! gives a historical account from the perspective of a little girl during the great depression. a must read! This was an exceptional story! My daughter and I listened together and couldn't wait to hear what happened chapter after chapter. The narrator was awesome as well. Christopher Paul Curtis is truly an American writer of times gone by. He knows the art of writing and how to portray the feelings of the characters he writes about. Although this is a fictional story, some of the events and doings of the people during this time period are true. As I read the heartaches of the characters, my heart broke for them and all they went through. 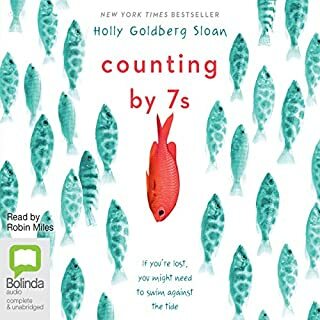 This is a book that I would definitely listen to again. Where does The Mighty Miss Malone rank among all the audiobooks you’ve listened to so far? 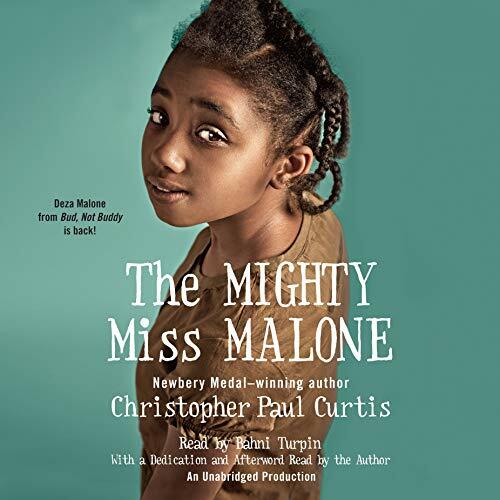 What other book might you compare The Mighty Miss Malone to and why? 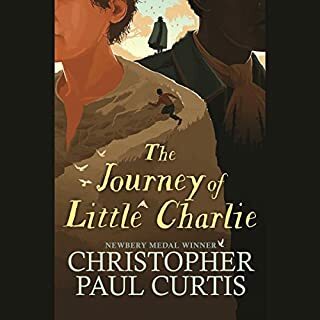 If you like historical fiction you might like other titles by Christopher Paul Curtis such as: Bud Not Buddy, Elijah of Buxton, or The Watson's Go To Birmingham. Deza lives with her parents and her older brother, Jimmie, in Gary, Indiana. It is 1936, and even though her parents are both hardworking people, the Depression has taken its toll on their family. Her father lost his job a while back and even though he is always looking for work there is just nothing to be found. Deza makes her family proud because she is the gets the highest marks in her class and does her best to keep her brother in line as well; this is how she earns her nickname, “the Mighty Miss Malone.” It is a good thing she is mighty, because their family is put through the wringer; it seems like whatever can go wrong does go wrong, and the question is can Deza tough enough to help her family make through the terrible trials of the Depression? Breathtaking educational and funny. Reading about the Malones sense of family, love and pride in a time we're all odds were against most black families to survive. I love the quote kisses kisses kisses make you stronger. I'm not certain why I chose this book or if I even read the summary. I will say this was indeed a good book. It was a ride. It touched on so many points. Racism, poverty, economics, foundation of the black family, friendships, traditions, morals etc. I've never been poor, well that may not be necessarily true, but I have never known I was poor. To be so poor as a parent that you can take care of your child's teeth, to the point you have to hold your breathe and turn your head as not to gag because your child suffers from rotten mouth. That's poor. Everyone in this family worked hard to preserve the family in their own capacity. Wonderful story of a family during the Great Depression. Really captures the hardships and simple joys of living in that time.